Six 33"steel blades bring big amount of air volume and soft & smooth wind. Six 47" steel blades brings much more smooth and soft wind with the plenty of air volume than BARAM-1000. 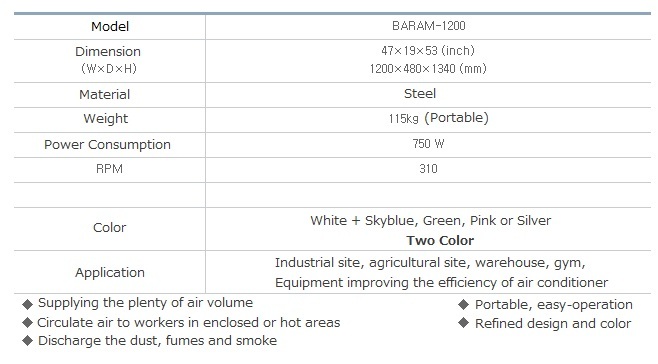 When drying fruit, ginseng, seaweed etc, BARAM series is very useful thanks to its uniform air flow and plenty of air volume.